I want to encourage you to run your own race. You are uniquely made and qualified to finish the race that is set out for you. You may not start when the pistol fires or finish in someones else’s qualifying heat but if you run your own race you will finish and you will WIN! We can easily be persuaded to run someone else’s race, usually out of fear that we may be on the track alone, at a time when there seems to be odds stacked against us, but thats when you allow the wind to push you forward. This is your race, you can not concern yourself with what you feel is competition. There is no competition in God. He has given each of us a gift that belongs ONLY to us. So it doesn’t matter who is ahead of you or behind you. ONLY you can run this race. Get up, get going, take a water break if you need to ; but RUN! 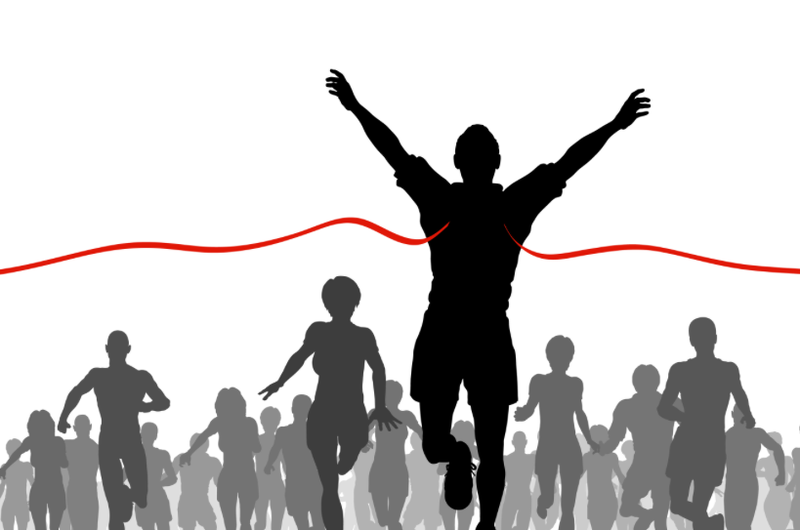 The finish line is waiting for you and guess what the PRIZE is better than you could ever imagine.